After a valiant fight with cancer, Noah Ray Bonds Sr. of Bear Grass, NC, 70, died on July 14th, 2017 at his home surrounded by his family. Noah was born on August 9, 1946 and resided with his family in Williamston. On October 20th, 1967 he married Linda Gail Bland Bonds and resided in Bear Grass, NC. He is survived by his wife and his sons Noah Ray Bonds, Jr., his fiancé Mary Beth and David Wayne Bonds, his wife Annie; his grandchildren Haley, Brooke, Morgan, Mason, and Jackson Bonds and Oliva and Joseph Ragland. He is also survived by his sisters: Genny Bonds Reed and husband Charlie of Salisbury, NC, Ruth Bonds Silverthorne of Williamston, NC, Margie Bonds Manning and husband Ronnie of Williamston, NC as well as his special siblings Johnnie Frank Beacham of Williamston, NC and Willie (Odie) Beacham of Plymouth, NC. 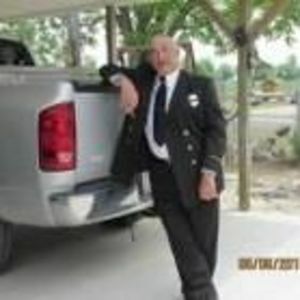 He served on the Bear Grass Volunteer Fire Department from 1978 to present where he was an active member serving as President of the Board of Directors. He was also retired from Merita Bread Company where he worked from January 1968 to April 2004. He served with the Bear Grass Ruritans and was an active member of Bear Grass Recreational department for many years. The family will be receiving friends Sunday from 6:30pm to 8:30pm at Biggs Funeral Home. A funeral service will be held Monday, July 17, 2017 at Biggs Funeral Home with a burial to follow at Skewakee Cemetery. In lieu of flowers, donations can be made to the Marion Shepard Cancer Center in Washington, NC or Bear Grass Fire Rescue Department.